Do you have any idea about how well your WordPress plugin or WordPress theme is going to sell during the next month? And how about the month after that? 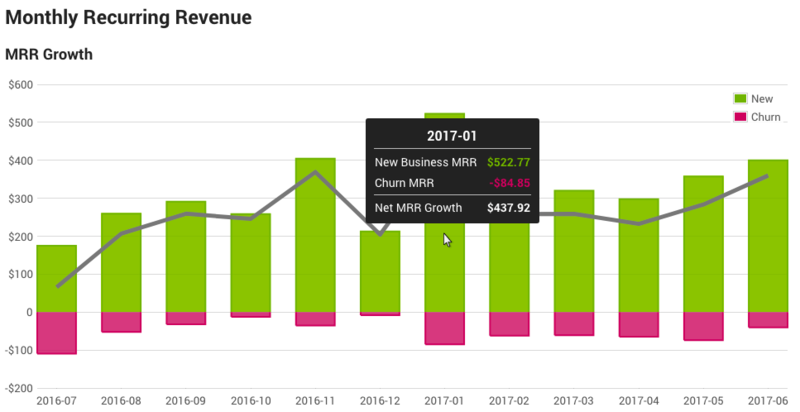 As a business owner, you depend on being able to estimate your MRR (Monthly Recurring Revenue) in advance in order to plan your budget for growth: e.g. hiring, marketing, and more. Why Are Recurring Payments + Auto Renewals So Great? Adopting the subscription-based business approach means you are going to be able to predict your cash flow. At any given moment simply take a look at the amount of subscriptions your WordPress plugin or WordPress theme has, in order to get a panoramic view of your stream of recurring revenue. With all of the crucial data at your fingertips, it’s easy to see the growth/decline happen in real time, understand what’s driving it and react accordingly. Get a panoramic view of your business stream of monthly recurring revenue, to make sure there are “no alarms and no surprises” in your subscription-based WordPress product business. What Happens When You Don’t Use Automatic Renewals? If customers are required to manually pay for a license extension each time their license expires – you’re shooting your business in the foot, because you’re effectively increasing your churn rate. Some of them may simply forget/can’t be bothered to renew, and others might be tempted to go with a competitor, now that there’s nothing binding them to your product. Keep in mind that it’s way harder to get someone to pull out their wallet and enter their credit card number each time then it is to convince them once to agree to a recurring payments with automatic renewals routine. It also costs a LOT more to earn a new customer than it does to get a repeating customer. If you save your customers this trouble and run automatic renewals on their payments – it’s actually a win-win: they can continuously use your WordPress plugin or WordPress theme, get security & feature updates and support, and you get to have a stable recurring revenue stream, with a minimal churn rate. Worried That People Might Not Like Automatic renewals? Highlighting the fact that recurring revenues are triggered upon purchase of your WordPress plugin or WordPress theme. Sending an email notification 30 days prior to an annual automatic renewal. Most customers will probably appreciate the option to pay using automatic renewals, avoiding the risk of forgetting to manually renew their license and maybe get one of their websites hacked because they missed your latest security patch. You are actually making your customers’ lives easier, with one less thing to have to worry about! Even Matt Mullenweg himself fell in love with subscriptions and recurring payments, to the point where he feels silly for all the years he did not have a recurring payments with automatic renewals mechanism in place for his company.